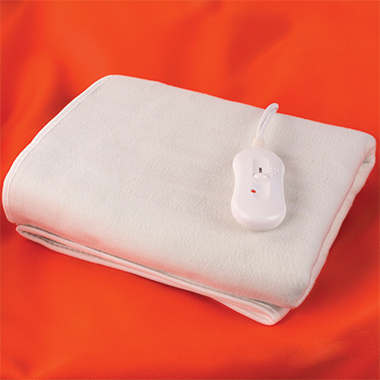 Do you know the healing properties of our electric blankets? Back pain resulting from excessive strain or bad postures is one of the biggest problems in our society. The remedy is simple: Rest and relax. Unfortunately, you can't stay in bed all the time you'd like to, but we bring you the solution to accelerate the healing process: HEAT! This electric blanket produces comfortable dry heat to warm up your rigid tissues promoting blood circulation and restoring their elasticity. 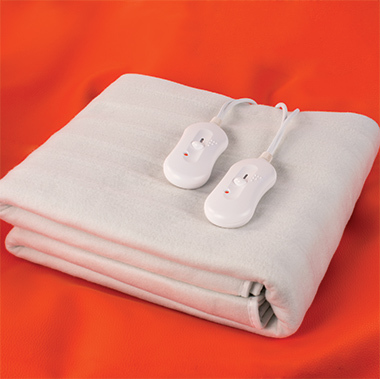 The Electrical Heating Blanket features an intensity regulator to adjust the heat depending on the sensitivity of each area. This electric blanket is covered with a fluffy, soft fabric that's comfortable for any part of your skin where you want to apply heat. For all kinds of problems. For all kinds of uses. If you suffer from insomnia, the Electrical Heating Blanket will help you to get to sleep again thanks to its pleasant heat and soft texture. Wake up full of energy every day! A cold winter? A warm bed! Switch on the Electrical Heating Blanket under your bed sheets for 30 minutes before you go to sleep. Forget about freezing or wet beds that make you feel cold when you're in bed. You and your partner may have different levels of sensitivity to heat. No bother! We're aware of this and that's why we've designed a bigger blanket with two separate regulators so each of you can adjust their side of the bed to their ideal temperature. Our team will answer to your query as soon as possible. 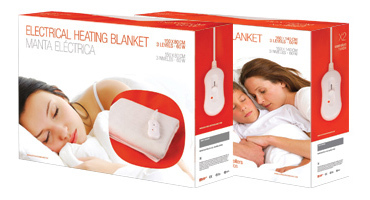 Electrical Heating Blanket™ is a registered trademark. Incorrect use of the Electrical Heating Blanket will make the guarantee void. Please, be careful when using the blanket in wet places or indoors. We recommend you to warm up your bed before you go to sleep. Do not use the Electrical Heating Blanket overnight. The Electrical Heating Blanket is not suitable for pregnant women.